I have to admit that I've been struggling with burnout lately. Longtime readers may have noticed that I skipped my yearly International Women's Day animator interviews this year. That was no accident. Part of it was me being tired after all the effort that it took to prepare and teach my History of Women Animators class. And part of it was me being disgusted with the current state of affairs in our American political scene. Last year, I let my membership lapse in an animation group that I had been a member of for years; reason being: they used to be an organization that was focused on promoting the art of animation. However, over the past few years, they've become a vehicle for partisan politics that has given many within their membership a license to be abusive and intolerant. Personally, I have little interest in politics and don't want politics to seep in and dilute or overshadow the reason why I started doing the interviews in the first place: namely that I want to see women animators learn their history, find their voice, and tell their story. And while I'm currently working on transcribing an interview with a pair of woman animators that I recorded last month, sometimes you just have to step back and let the world rush right on by you towards the edge of that cliff while you keep working towards your goals. Even my usual outlet: animation festivals have left me with overwhelming feelings of dread. This month, I skipped the second annual Detroit Animation Festival and the single animation screening at the Capital City Film Festival simply because I didn't want to risk spending two hours sitting through political rants played out on the screen. I've been trying to play it safe this year. 1. With the new version of DragonFrame being released, I'm dusting off my DSLR camera stand and dedicating time to solve that annoying image flicker problem so I can do some more under-the-camera work before I upgrade to version 4. Tom Gasek and Corrie Francis Parks have written excellent books on under-the-camera animation techniques, so I'm looking forward to finish reading those two books and doing a little experimenting. After all, I still owe my Auntie Martine a paint-on-glass film. 2. I am still working on the Women Animator interviews, albeit at a much slower pace which incorporates much of my prior research into asking the ladies much better questions. This refocusing, I think is going to show in my upcoming interview with Chicago-based animators Catherine and Sarah Satrun. Look for it and others on my Women of Animated Film website next month. I also had the opportunity to promote two Kickstarter campaigns for prior interviewees, so when the time comes, I'm hoping to re-interview Signe Baumane and Monica Brujenes about their experiences with crowdfunding their latest projects. 3. I've been taking time out to watch a fair number of animated features lately. Back around February/March, I tried to see all the Academy Award nominated animated feature films around the time of the awards ceremony. Having already watched Zootopia and Kubo and the Two Strings, it was time to track down some of the lesser known features that were nominated this year. I started with the Red Turtle and My Life as a Zucchini, two amazing foreign-made animated films. 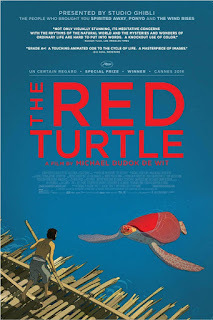 The Red Turtle was a co-production between Michaël Dudok du Wit and Japan's Studio Ghibli--home studio for Isao Takahata and Hayao Miyazaki. It's not often you see a film where there's no dialogue. And more to the point, a film where there's no need for dialogue. 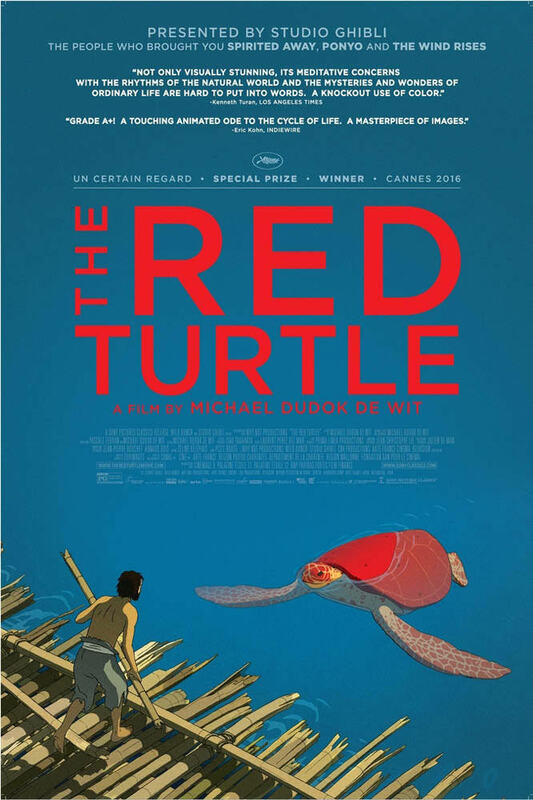 The Red Turtle is the story of a man who has been shipwrecked on an island and his attempts to escape his prison keep being stymied by forces beyond his control. As a long-time fan of Dudok du Wit (the Monk and the Fish is one of my all time favorite short animations) and the works of Studio Ghibli, I went into his film with high expectations and they were met on every front. Definitely worth watching. I won't spoil the ending, but this film seamlessly blends real life with the surreal in a way that only a master like Dudok du Wit can. My Life as a Zucchini was a very touching French/Swiss co-production animated using traditional stop-motion animation techniques.The story is about a little boy, nicknamed Zucchini by his mother, who ends up in an orphanage with other children around his age. After his introduction to the other children, the film then centers around Zucchini, the budding friendship with a new girl at the orphanage, and a police officer who befriends them both. It's a great movie to see with kids (I'd say around 8 years and above, though you might have to explain some concepts to kids), but definitely have a box of tissues with you when you watch this film. It's a very emotional film that keeps you guessing how it's going to end. 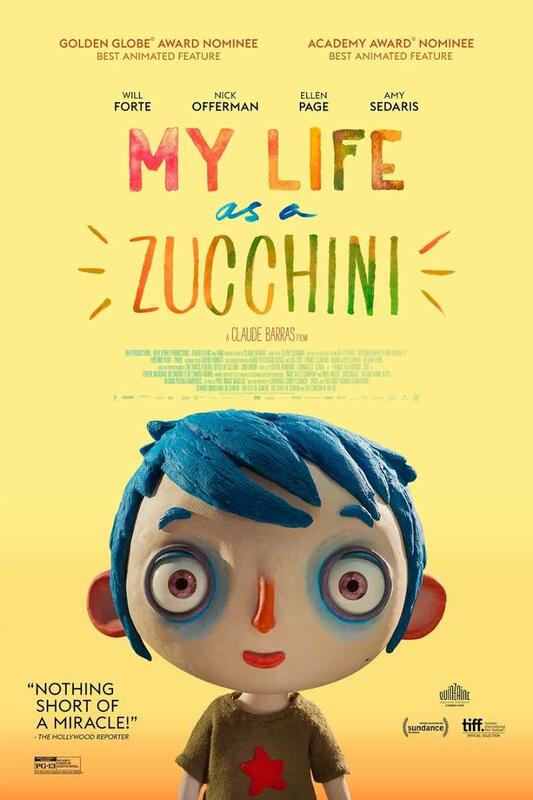 My Life as a Zucchini is being released on DVD on May 23rd. Don't know if it'll get an English dub, but it's worth a watch even if you're not into subtitled films. I ended up skipping Moana. My heart just wasn't in it. It's a $5 rental on iTunes so I may still watch it sometime in the future, but after Zootopia beat out three vastly superior films: Kubo, Turtle, and Zuchinni, I just don't feel up to sitting through another formulaic Disney princess musical. Moana may be spectacular. It may not. I don't know. I just know that I'm tired of watching the Disney/Pixar behemoth win time and again over films that are far superior in story and structure and that dare to take risks with their storytelling and visual style. Over the past seventeen years, eleven of the films that won the Academy Award for Best Animated Feature were produced by either Disney or Pixar. And some deservedly so, like Big Hero Six, Wall-E, and the Incredibles, credit where credit is due. But you'll never convince me that there weren't any better films released during the years when Frozen or Inside/Out won. Anyways, I'm starting to rant and on principle, I don't like dogging other animators because I know how hard it is to produce an animated film, much less a good one. So I'll stop now and pin a five-dollar bill to my corkboard for when I get around to renting Moana. Well, after binge-watching the last eight episodes of Sword Art Online season 2, I drove to Flint in order to watch SAO the Movie: Ordinal Scale. Amazing film. So good in fact that I drove to Bloomfield Hills a month later just to see the English dub version. I can deal with subtitles, but sometimes you just want to take in the lush visuals and subtle character animation without having to split your visual attention between reading dialog and watching the movie. 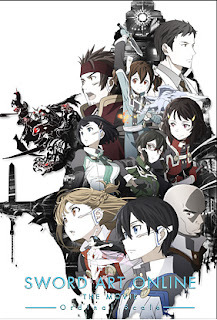 SAO: Ordinal Scale takes the characters we know and love from two seasons of the SAO anime series and thrusts them into a new conflict around augmented reality gaming in the real world instead of the full-dive virtual reality gaming that they are used to. It sounds simple, but the conflict between Kirito, Asuna and the villains builds in complexity until the final resolution in the last fifteen minutes of the film. The final battle was worth the price of admission and the $30 in gasoline alone! But if you haven't watched both seasons of Sword Art Online, definitely watch them before you watch the movie. Technically, it's not required, but the story will make a lot more sense if you do and you'll catch a lot of the subtleties to the characters' actions as well as a lot of Easter Eggs that the animators threw in from the first two seasons of the anime. There's supposed to be a third season of Sword Art Online, but if they ended the series here, I'd be happy. It's a nice wrap-up to the SAO franchise. 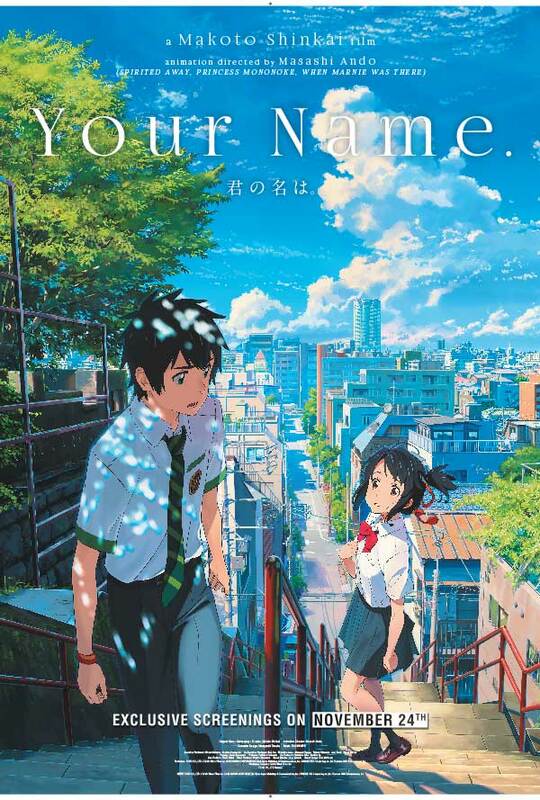 The last feature I watched was Makoto Shinkai's masterwork 'Your Name.' Breathtaking. Simply breathtaking. Now one could argue that you could have made the entire film live action, but animation has such a unique charm to it that live-action simply can't match. On the surface, this film starts out as one of those 'body switching' stories that we've seen Disney produce here in the States ad nauseum using a flavor-of-the-month teenage actor or actress. But before the fish-out-of-water charm wears off, the story takes a much more serious turn. I won't spoil it other than to say that the film is well worth 90 minutes of your time when it comes out on DVD. I haven't seen any announcements yet, but Funimation did the English Dub, so I expect that it'll be released through them later this year. Shinkai's earlier film 5 Centimeters Per Second has been sitting on my shelf for the better part of a couple years, patiently waiting until I worked my way through the stack of giant robot anime DVDs ahead of it. And I'm honestly not sure if I was better off going in to Your Name. cold or not. I had no expectations other than the fact that it was the highest grossing animated film in Japan last year and the film blew me away. So much so that 5 Centimeters Per Second is now at the top of the queue. Back when I watched some of the works of the late great Satoshi Kon (Perfect Blue, Millennium Actress, Tokyo Godfathers) there were many recurring visual themes--including one that played out in both climaxes of Paranoia Agent and Paprika which kind of detracted from them both. 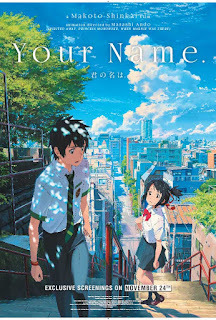 So, I'm hoping that 5 Centimeters Per Second doesn't share any thematic elements with Your Name. But even if they do, I'm happy to have been able to appreciate Your Name. completely on it's own merits. Regardless, I can see why people are saying that Shinkai is the next Hayao Miyazaki. 4. Lastly, I've been looking for other venues where I can learn and sharpen my craft--funny how many of these include a trip to the Detroit Institute of Arts. Now most times, my trips to the DIA are to see animated films at the Detroit Film Theater or rare exhibits, like the time they brought in a Monet painting from the Musee d'Orsay. This time was a little different. This time, they had a lecture on how multispectral imaging and x-rays are used to expand their research on works of art. And since Tricia over at Thistle Threads uses x-rays to help deconstruct 17th Century English goldwork embroidery, it seemed like attending this lecture was a good idea to gain a better understanding on what and how she does what she does. DIA Photographer and Imaging Specialist Aaron Steele gave a very informative and visually exciting presentation that ran from the basics of multispectral imaging applied to paintings all the way to recent discoveries made when taking x-rays of African religious statues. He even spent time talking about the process of taking high-resolution images of the DIA's art collection for researchers and novices alike. After packing in a ton of information in two twenty minute lectures, Aaron stuck around and answered questions (and got in a little shop talk) from the crowd. 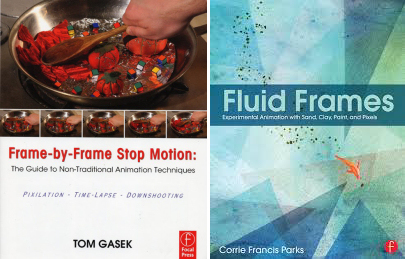 Needless to say, I picked up some tips and tricks of the trade that will be applicable to both my forensic animation work as well as my work on Tricia's English embroidery projects. Labels: Animated Thoughts, Catherine Satrun, Corrie Francis Parks, DIA, Monica Brujenes, My Life as a Zucchini, Red Turtle, Sarah Satrun, Signe Baumane, Sword Art Online, Tom Gasek, Your Name.